Enrich your home’s interior design with this Arie colorate, 1993 by Nino Mustica Painting Print on Gallery Wrapped Canvas. Part of Art & Home’s magnificent Canvas Wall Art collection. Designed by Global Gallery a wonderful ‘Arie colorate, 1993’ by Nino Mustica Painting Print on Wrapped Canvas. This striking piece is just one of the numerous fantastic furniture & decor products that Art & Home has hand-selected to help you enhance your home. To achieve this Art & Home has collaborated with today’s best furniture & home decor retailers & manufacturers to bring you some of the most exceptional furniture & home decor collections available on the market today. 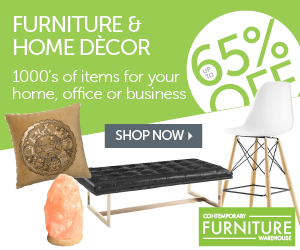 Through this and other collaborations, Art & Home is uniquely qualified to provide you with access to lots of wonderful home decor products and save you the time & aggravation of rummaging through dozens of different retail websites. From Persian Rugs to Furniture to Stained Glass Windows, Art & Home dedicates itself to acquiring the top furniture & decor so that you can create the home of your dreams. As a family owned and operated company, Art & Home knows how important it is to love your home. Buying from our retail partners is fast & easy. Just click on the “Unlock Current Deal” button above to see the complete details, up-to-date pricing, and obtain a shipping estimate to your location. We hope you enjoy exploring this exceptional collection as much as we enjoyed crafting it.